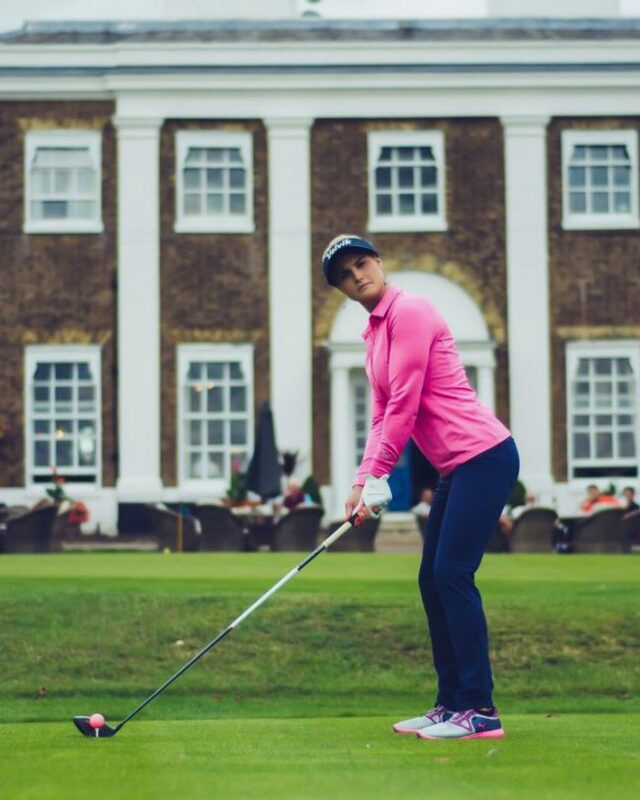 Maria Verchenova is the first Russian to become a full-time member of the Ladies European Tour. Before starting her professional career in 2006, young Russian golf prodigy won a prestigious Austrian Amateur Championship, she became two times Russian Amateur Champion in 2004 and 2006. After winning Slovenian and Lithuanian Amateur Championships Maria decided to be a professional. After her amazing performance at the Olympics, she became the Winter Golf Cup Ambassadress and therefore contributed to the organization of three winter events in prestigious ski resorts in the Alps in 2018. Carly was born in Scotland and turned professional in 2009. At the age of 17, she became the youngest-ever Scot to qualify for the LET. As a youngster, Booth was able to practice on the course made exclusively for her and her brother, by her father Wally at the family farm near Comrie. ‘My older bro got me into golf and I lived and dreamed about becoming the best golfer as a young girl’ she says. In 2012 she took her first professional title at the Dinard Ladies Open, part of the LET Access Series, followed directly by her first win on the main Ladies European Tour at the Aberdeen Asset Management Ladies Scottish Open. She quickly followed this victory with another at the Deutschebank Ladies Swiss Open and finished 2012 5th on the Order of Merit. Hailey started playing golf when she was 9 years old and was awarded the Michigan Woman Golfer of the Year in 2015. Hailey turned professional after graduating with a degree in Sports Broadcasting but after going to LPGA Qualifying School, she realized the lonely grind of the tour life wasn’t for her. She did not, however, give up on her passion for golf and started working for the LPGA Women’s Network as a content producer/host. In fact, alongside her team, she has just launched the #inviteHER campaign which aims to grow women’s golf and invite more women to the game. Shasta Averyhardt’s pathway to golf began at the age of 7 on behalf of her father. Born and raised in Flint, Michigan, she pursued the game of golf with a dedication that landed her with a full-ride golf scholarship to Jackson State University. With a successful collegiate career, Shasta set her sights on the LPGA Tour. She earned her LPGA Tour card within two years after graduation. Madeleen’s story of turning professional started not too long after she relocated to Dubai in 2012. Working as project coordinator, she came to realize that she was spending too much time indoors, missing the healthy and active lifestyle she had previously enjoyed back in South Africa. She took up the challenge of golf and made quick progress. In October 2013 Madeleen started individual coaching sessions with Matthew Naylor at The Address Montgomerie Dubai and progressed to a single digit handicap in less than a year. She then became a member at Al Badia Golf Club where she won the Ladies Club Championship in 2016, setting the 36 hole course record, less than three years after setting foot on a golf course for the first time. Elise Lobb is not a regular golf player. She is a social media sensation and has an army of followers who admire her for golf, beauty, fashion, and tutorials. She was born in 1994, began golfing at the age of 3 and is friends with some of today’s most popular golfers. This game, according to Elise, teaches you integrity, patience, self-discipline and much more. She has had opportunities to work with Golf Digest, LPGA and PGA Tour as well as hosting a golf show on Fox Sports. I’ve been blessed to have a platform to use and really want to continue to inspire and encourage future golfers, especially young girls to not be afraid to pick up a club for the first time.